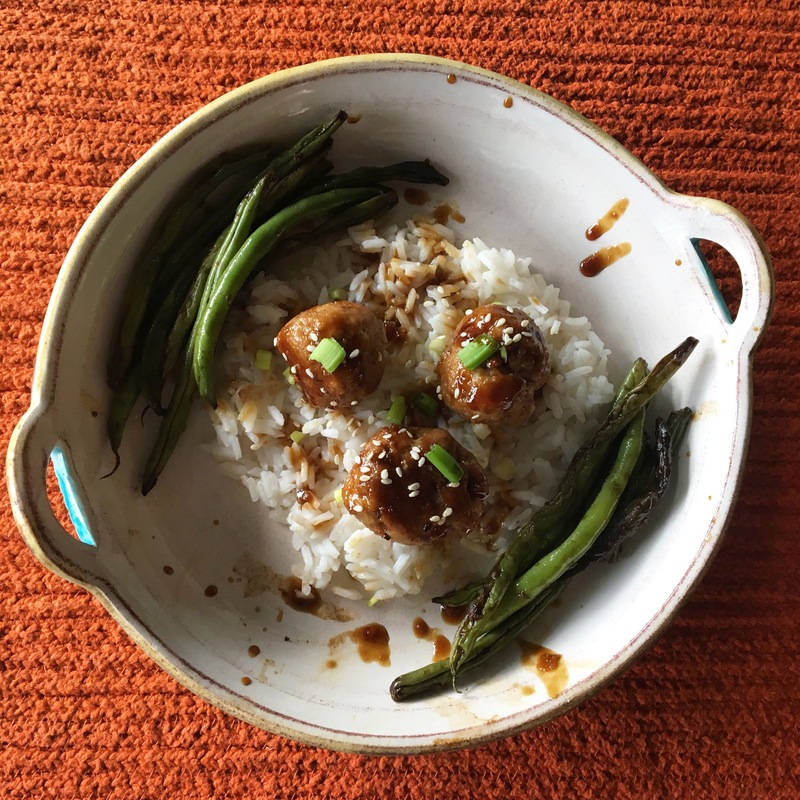 These little guys are tender and succulent and full of flavor, boosted by their glaze of sweetly salty teriyaki sauce and sprinkling of sesame seeds and green onions. Yum! + sesame seeds and sliced green onions for plating! Combine the turkey, breadcrumbs, and eggs in a large bowl. Stir in the ginger, garlic, sesame oil, cayenne pepper, and sriracha until well combined. Form meat mixture into small balls and place on baking sheets about an inch apart. Bake at 400 F for 10 minutes or until cooked through. Meanwhile, combine the sauce ingredients in a pan over medium heat and stir until slightly thickened. Add meatballs to the sauce and toss to coat. Sprinkle with the green onions and sesame seeds before serving. Previous Previous post: day 173: potstickers!